Are you worried that a new baby will derail your vacation plans? Well, we’re here to tell you that you can be both a new mom and a traveler. With pre-planning, thoughtful packing and a heck of a lot of patience, you’ve got all you need to adventure with your littlest one. Certainly, venturing beyond the comforts of home with your baby can be daunting. There are days when a quick trip to the grocery store will feel impossible. You’ll wonder if you should you bring the whole diaper bag or just a bottle; you’ll worry that baby will cry the entire time. So we bet you’re wondering how could you possibly prepare for a trip away from home that lasts several days? 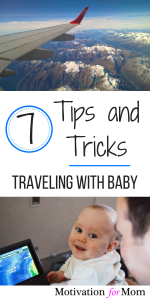 Here are 7 essential tips for traveling (by plane, train or car) with a baby. Does the airline have restrictions about traveling with an infant? Does baby need any ID? Is there a doctor available at your destination? Should you travel with infant medications? Does the hotel have cribs? What’s the weather forecast? Does it get colder at night? Will you be close to a grocery store or pharmacy? 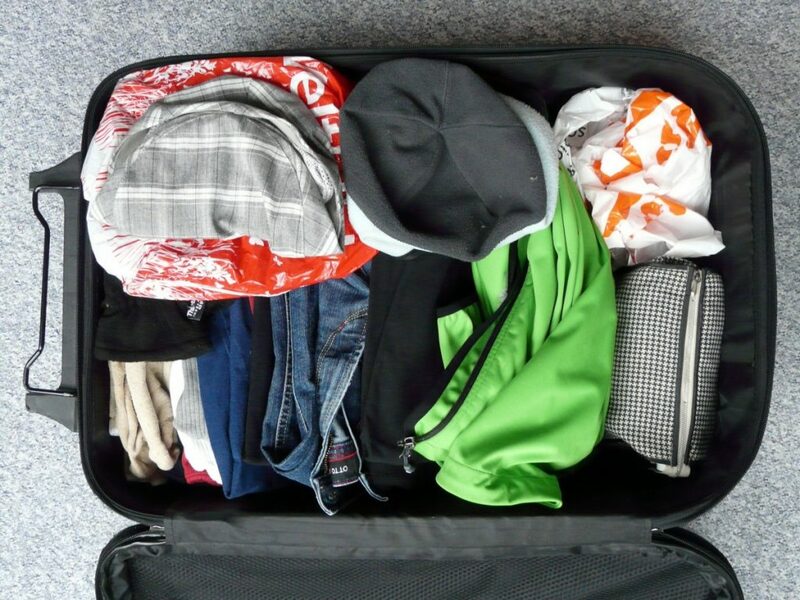 Your instincts may tell you to pack everything in the world you may need on your trip, but don’t do it! Instead, aim to travel lightly, bringing only the essentials with you. Many moms choose to use a backpack as their personal carryon bag so they can have their hands free to deal with a baby and her needs. Overall, the fewer pieces of luggage you have to worry about, the better. While there are some things you want to have at your fingertips while you travel, you can make life easier by shipping some supplies to your destination ahead of time. For example, you know you’ll go through dozens of diapers, so instead of carrying them all with you from day one, order online and ship a supply directly to your hotel or Air BnB (most online suppliers ship for free). A smart move would be to ship a duplicate blanket or stuffed animal (or whatever it is your baby doesn’t like to be without) to your destination just in case the original gets lost in transit. Your little one and your travel companions will be so grateful for your forward thinking! If it’s possible, plan your travel around baby’s sleeping schedule. The very best scenario would be for your little one to fall sound sleep during the plane, train or car ride. When the baby’s asleep, you’ll be able to relax and anticipate the adventure ahead. What’s more, when the baby wakes, she’ll be alert and ready to take in all of the new sights! Depending on your destination, there may be babysitting services available. If there are professionals available to take care of the baby, go ahead and plan an adult-only night out (be sure to pack your dancing shoes!). Hotels often have daycare centers as well, so you can have an afternoon to yourself while baby is safe and happy playing with other little travelers. If you’re visiting friends or relatives, ask ahead if they could hook you up with a reliable sitter. Same goes for staying at an Air BnB – your host may have a list of recommended sitters to choose from. No one is going to have a joyful vacation if they aren’t getting enough sleep. With this in mind, check (and double check) that you’ve packed baby’s favorite sleeping blanket, toy or whatever it is that helps her fall asleep every night. Having something that’s associated with home will definitely provide comfort in unfamiliar territory. Music has been proven to help baby self-soothe and also promote sweet dreams. If you’re traveling by car, load up your iPhone with music that’s familiar to the baby and let it be your soundtrack! Also, if you’re staying in a hotel or Air BnB, you can use the playlist at bedtime or when she goes down for a nap. If baby is used to falling asleep with a musical mobile or another type of sleep soother that’s small enough to pack, be sure to bring it along! You’ll feel more confident if you have basic medical supplies on hand at all times. Pack a first aid kit that you can stash in the diaper bag and have with you wherever you go. You don’t need to go overboard and take along every medicine imaginable, but you do want to have the basics covered. Most of all, if baby requires specific medications, triple check that you have them handy (plus refills if necessary). If you’re traveling by car, you can bring along a more comprehensive first aid kit that will handle a wider range of medical emergencies. You don’t have to be a supermom to take a trip with your infant. In fact, we’re positive you can plan a family trip that will be relaxing and rewarding for everyone. The key is to take time to plan and then pack with care. 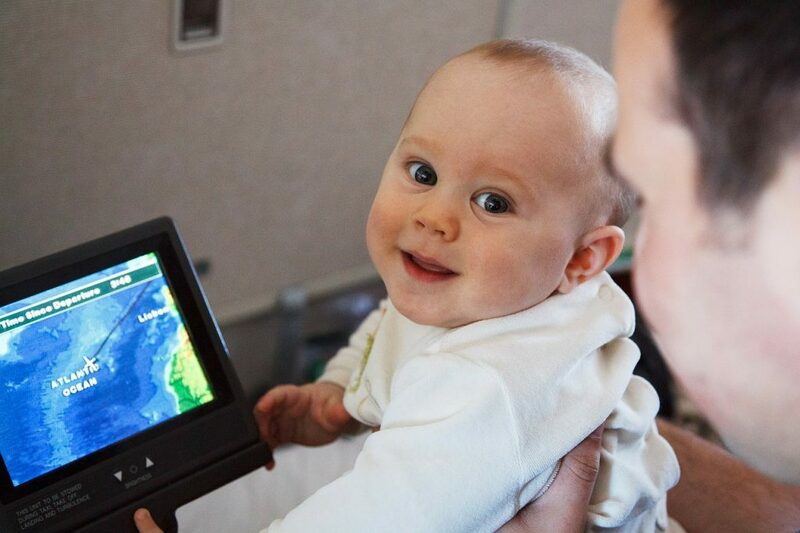 When you travel with a baby, know in advance that you’re in for a unique experience. Certainly, there’s no way to anticipate every tricky situation or uncomfortable moment. So, on every day of your trip, remind yourself that you’ve got it covered. Don’t forget to check out our homepage for more on Motherhood & Marriage! Samara Kamenecka is a VA specialized in SEO and writing, based in Madrid. When she’s not chained to her desk working, she likes to explore the city with her boyfriend, their two kids, and their dog. She blogs about everything from pregnancy gear to baby-led weaning over at http://www.tinyfry.com.